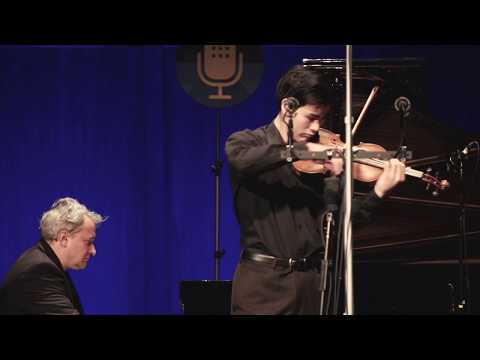 This week’s From the Top comes from Miami, Florida where we got to hear a talented local teenager perform the music of Schumann and enjoy his stories of growing up in the Cuban community of Miami. Also featured on the show is an eleven-year-old pianist who performs two works by Chopin, and a violinist performs the beautiful and dramatic second movement from César Franck’s Sonata for Violin and Piano. Release date is when this show is released to NPR stations, here on our website, and to our podcast. Shows are released on a weekly basis; please check your local NPR station listing for the actual airtime in your market. If you'd like, you can visit NPR's "Find Stations" page to look for your station.